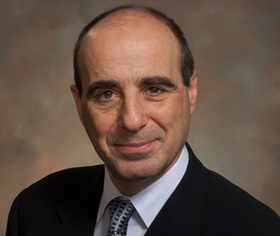 Dr. Andrew Bindman has been named director of the Agency for Healthcare Research and Quality, effective May 2. Sharon Arnold has served as acting director since March, when Richard Kronick stepped down. Kronick had led AHRQ, a division of HHS, since August 2013. The agency aims to produce research and evidence to improve the quality and safety of healthcare. Bindman is a primary-care physician at safety net San Francisco General Hospital. Bindman is a Robert Wood Johnson Health Policy Fellow and was a staffer on the Energy and Commerce Committee in the U.S. House of Representatives. He served as a senior health policy adviser from 2011 to 2014, and worked to establish new Medicare payment codes for transitional care and chronic care management. Bindman also taught epidemiology and biostatistics at the University of California San Francisco. His work includes creating a state-university partnership with California's Medicaid program. In 2005, the Health Resources and Services Administration rewarded Bindman for his contributions to researching healthcare disparities and improving diversity of the country's healthcare workforce.